Family owned and operated, Seaside Vacations has spent the last few decades bringing friends and families together to reconnect and experience meaningful and relaxing vacations. 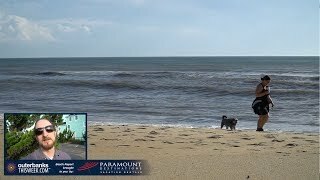 Oceanfront to soundfront, they offer guests a wide variety of vacation rentals in Corolla, Duck, Southern Shores, Kitty Hawk, Kill Devil Hills, Nags Head and on Hatteras Island. From one-bedroom condominiums to 10-bedroom private homes, guests can choose from nearly 400 vacation rentals with amenities including private pools, hot tubs, WiFi, elevators, private beach walkways, dog-friendly homes and more, including complimentary linens and towels in every home. As a Seaside Vacations guest, you also get access to the complimentary events and exclusive discounts of Club Seaside — including family portraits, wild horse tours, wine tastings, surf lessons, yoga and more. Almost every home is equipped with a keyless entry system, so check-in does not require going to one of the northern Outer Banks offices.